Check Out What's in Store at Requiem Haunted House this Halloween Season! 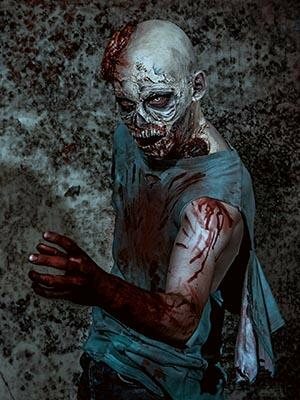 IdahoHauntedHouses.com recently sat down with Krista of Requiem Haunted House, to discuss what's new at Requiem Haunted House for the 2017 Halloween Season! Located in Caldwell, this haunted attraction is preparing for another successful haunting season, providing thrill seekers with the terror they've had an appetite for all year long! What's new at Requiem Haunted House for 2017? Do you have any new rides, attractions, or special features that Haunt Seekers should know about? We have opened the 3rd floor with a blackout maze! The Freak Show is now in 3D! Now you have 7,000 square feet of fun and terror. Going out to schools and doing the anti-bullying presentations with Don't Be A Monster. We are the largest indoor haunt in the Treasure Valley. We are the only haunt in Idaho that has the coffin simulator ride. We also partnered with Don't Be a Monster this year. This is our 2nd year. Requiem's Haunt is in an old furniture and undertaking store back in the 20's, so not only do we have actors we have our own ghost. Having kids and parents tell us that we have the best customer services and we make sure everyone is having a good time. My actors know that is someone has a glow-stick to not scare them. We love Birthday people, we make sure they are well taken care of. It's funny you ask because we can't control how fast you walk when you are scared but we have had people lost on the 3rd floor for 20 minutes. Hard to say because we let all ages in to it really depends on your age. We do have ghosts in our building and have some photos to share when people come through. We have seen shirts get pulled, Batteries drained on radios, music disks stop and a fan fall from the wall which was completely supported. We have a fun time while we work! We love Halloween and we noticed most haunts here in Idaho are outside so we wanted people have another option. We like animatrontics but we love our actors! Since we do have the occupancy to comply with, we try to keep our groups small because it gives you a better experience. Plus, we really work hard to make sure you don't run into the group ahead of you. We do different deals often on Facebook Requiem Haunted House. We will be putting them on IdahoHauntedHouses.com as well. Requiem gives back to the community of Caldwell, Idaho. We donate to the Fire Fighters who go to the stair climb in Seattle. We donated extra props to the Mayor's youth council so they have extra props for their haunted house.